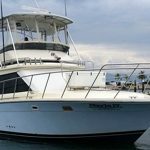 The Inshore fishing areas outside of La Cruz de Huanacaxtle and Puerto Vallarta offers a great time for all sorts of Anglers. 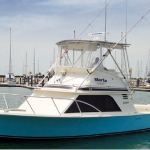 We generally do not find big marlin or cow yellowfin tuna, but we have great fun with Jack Crevalle, sierra, spanish mackeral, sometimes sailfish, school tuna, bottom fish and just a large mixed bag of possibilities. 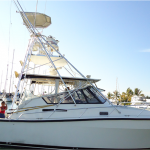 We encourage you to give an inshore fishing trip a try if you are visiting Puerto Vallarta and would like to fit in a little bit of fishing. Its a great time for friends and family, plus you almost always get to enjoy a fresh catch dinner back at the hotel or Lodge.